Its my friends looking out for me that makes me feel safe, not the CCTV. I've felt safe for years now, because I have a lovely friend. His name is Leafcutter John. If you haven't seen or heard John's work, I suggest you go to www.leafcutterjohn.com asap. 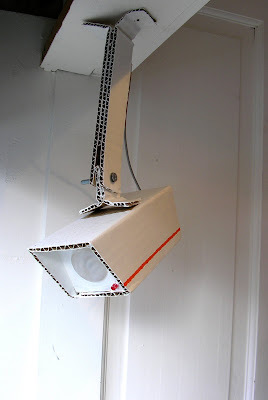 John made this CCTV camera for Prick Your Finger.